The Mendham Township Middle School and the Mendham Township Recreation Department are pleased to present Dear Edwina Jr., a musical about the joys of growing up. Edwina Spoonapple is an advice-giver extraordinaire who stages “The Dear Edwina Show” every Sunday afternoon from her garage. She gives advice through songs on topics such as being polite, making new friends, and how to save money. Preschoolers, grandparents, and everyone in between will love this “School House Rock” type musical. Come out and see London and her friends perform in your choice of four shows: Thursday, March 8th at 7:00pm; Friday, March 9th at 7:00pm; and Saturday, March 10th at 2:00pm and 7:00pm, all at Mendham Township Middle School. Tickets are $12 for all performances. 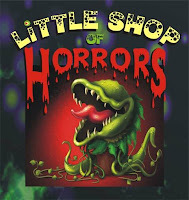 Hexagon Players of Mendham will hold auditions for its May production of “Little Shop of Horrors” (music by Alan Menken, book and lyrics by Howard Ashman). Auditions for teens and adults will take place on Sunday, March 11th at 2:00 pm and Tuesday, March 13th at 7:00 pm at Grace Lutheran Church, Fellowship Hall 65 East Main Street, Mendham, NJ. Please bring your own sheet music to the audition. Show performances are May 11th, 12th, 13th, 18th and 19th. For further information, please visit hexagonplayers.org or contact (973) 543-8770.